For the widest selection of quality school and nursing uniforms, visit Serendipity Uniforms today. For over twenty-five years, we’ve been Montgomery’s favorite, local source for uniforms. 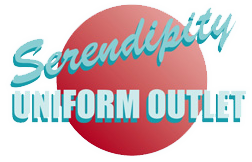 Whether you are looking for school uniforms, chef coats or nursing scrubs in Montgomery, Alabama you’ll find what you are looking for at Serendipity Uniforms. For over 25 years, we’ve been providing our customers with the widest selection of work and school uniforms. We think that finding the uniforms you need in a style you love should be fun and easy. That’s why we pride ourselves on our unique inventory. From the moment you first come to see our collection, you’ll find that serendipity is something you can expect every time you walk through our doors. If you’re looking for school uniforms or scrubs in Montgomery, Alabama you’ll always find the best selection and greatest deals at Serendipity Uniforms. We offer a fun and enjoyable shopping experience. Our dedicated staff is ready to help you find exactly what you’re looking for. 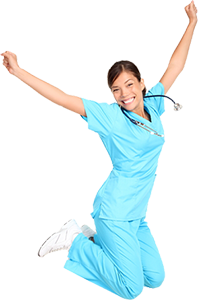 We have the widest selection of scrubs and uniforms in the area. We have a traveling (mobile) store that goes all over the Southeast to homes and hospitals so you can have a chance to browse our selection no matter where you are. "The owner and Joachim are both very informative and friendly. I got some great suggestions from them, and I received a nice discount for wor..."